Add a little extra decorative flair to your metal designs! 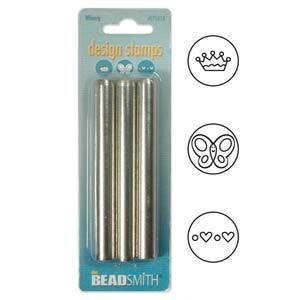 • Ideal for creating unique stamped metal jewelry. Durable 3-piece sets. Stamped impressions are approximately 5mm wide. Easy to use!